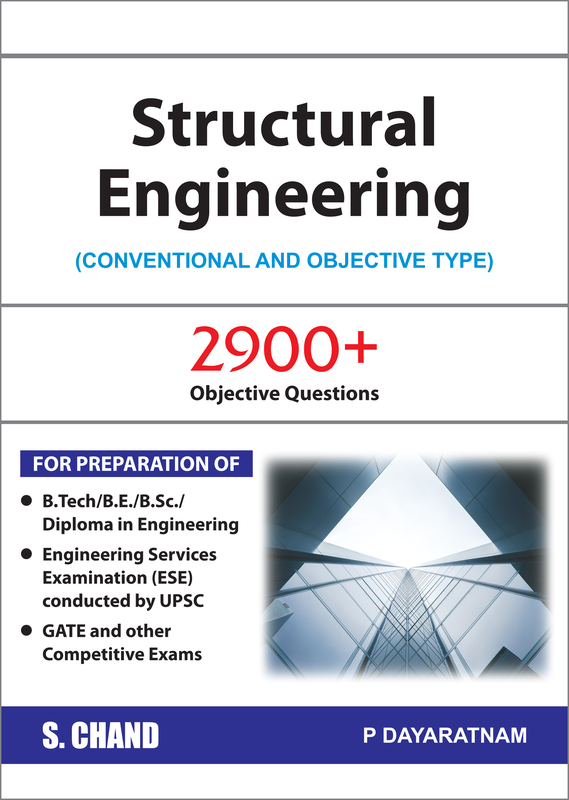 For a decade, Structural Engineering (Conventional and Objective Type) has provided fundamental knowledge of the subject to the students of Civil Engineering and aspirants of GATE students. Divided in 10 parts, each of which delves in primary topics of the subject. 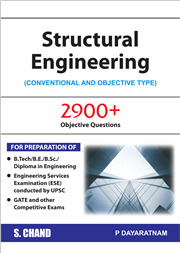 Major topics which are dealt with Structural Materials, Architectural Materials, Solid Mechanics and Structural Systems, Design of Steel Structures, Design of Reinforced Concrete Structures, Design of Prestressed Concrete Structures, Design of Masonry and Timber Structures, Construction Technology, Soil Mechanics & Foundation Engineering and GATE Questions. • New 10 years GATE Questions with Answers at the end of book specifically catering to the subject of Structural Engineering (More than 200 questions). • 10 parts and 72 chapters treat every topic of the subject with due importance. • Close to 3000 Objective Questions. • Every chapter is divided in 2 sections: Section A is called the browser and section B has objective questions. 1. Concepts and Definitions, 2. Materials and Permissible Stresses, 3. Working Stress Design, 4. Limit State Design of Beams, 5. Design for Shear Force, 6. Concreting, Curing, Grouting, Formwork etc., 7. Prestress, Cables and Sheeting, 8. Tolerances, Covers, Spacing etc., 9. Anchorage Bond etc.